This series is going to do wonders for my book count, they're so short and fast to read. Each book takes about two hours (and way too much of that time is spent on recapping what previously happened in the series). I didn't mention in my review of the last two books, but there's a rule when you morph into an animal: You can't stay in that shape for more than two hours or you get stuck that way forever. 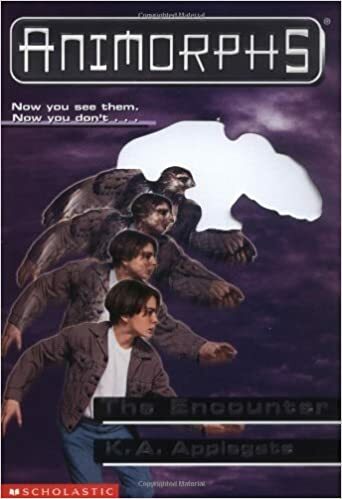 The main character of this book is Tobias, who in book one got stuck as a hawk for the rest of his life. Thus far, I have a big issue with these books: The characters know about the two hour limit, they know their friend got stuck as a bird, but they're stupid about handling that limit. In this book they morphed into wolves. At the one hour point, they discovered some new situation they wanted to check out. They "knew" it would take less than an hour, so they would be safe... But why not reset the clock? Why not morph into human then back into wolf again to restart the two hours just in case? With such dire consequences... Ugh. Spoiler: Of course it took more than an hour and they all almost got stuck. I'm going to start reviewing a few of these at a time instead of one by one. Plot-wise there's not much to write about (kids morph into some new animal, fight the brain slug aliens), so I might as well not spam posts about them.